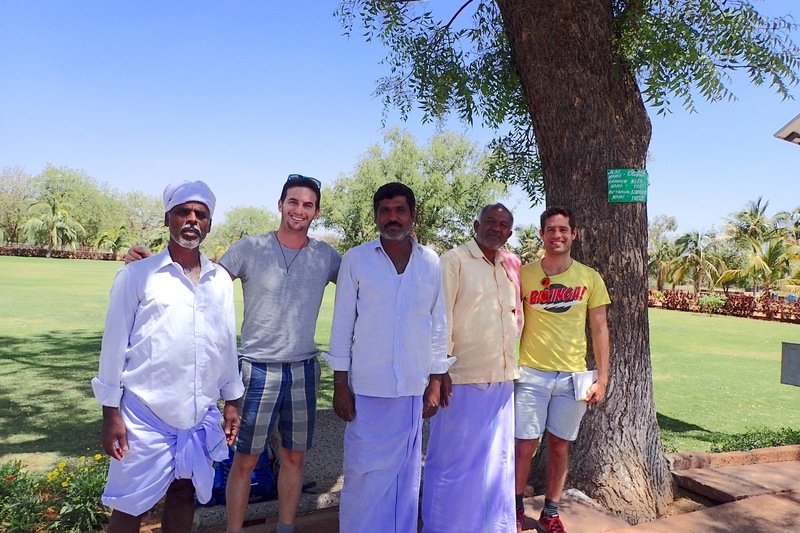 Leaving the touristy spot of Hampi with it’s temples and shanti bars, we followed our Rough Guide towards Badami. Never heard of someone who has even heard of it. And it only added to its charm. 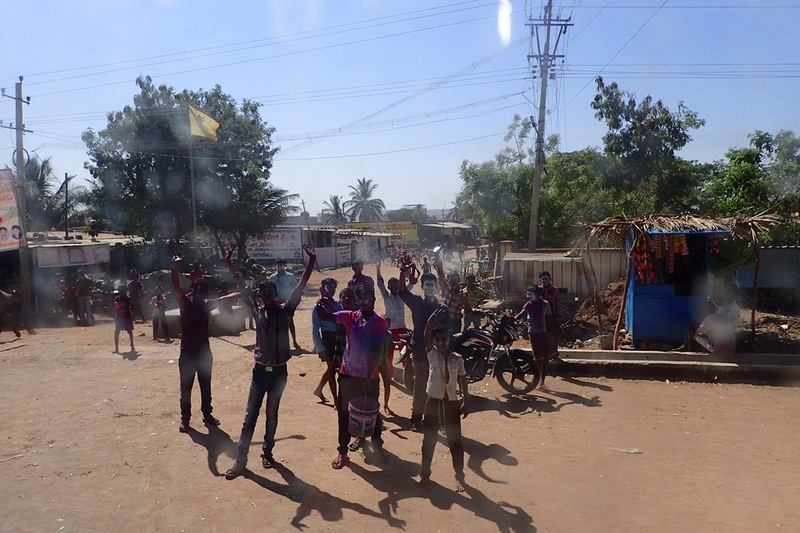 We rode three different local buses and after five hours of glances, stares, pictures and smiles we finally got to Badami. Wondering where this bus is going. For the first time since our arrival to India, we only inspired a bit of curiosity and urge to help. Nobody approached us offering taxi, hotel, marihuana or cocaine (not necessarily in that order). 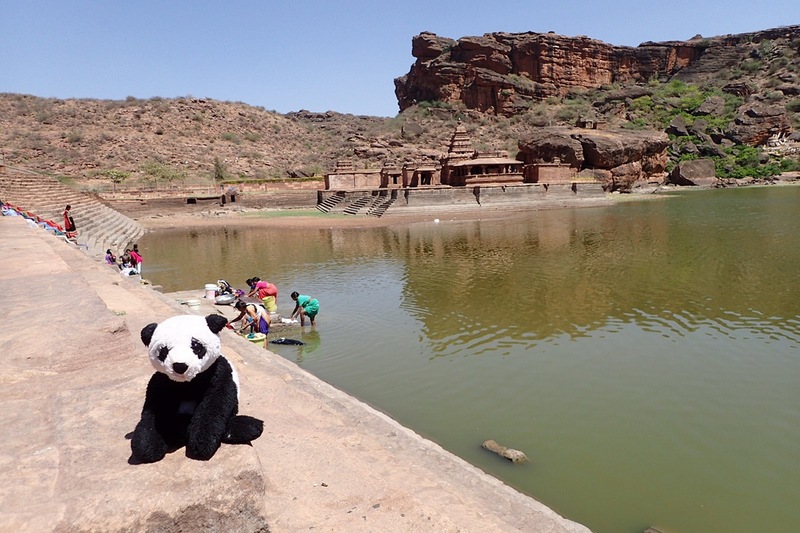 Along a dusty road filled with tiny shops, carts and dirt, Badami is a small town set in the middle of an agricultural land between to hills, a lake, caves and temples, the reason of our visit. The Calyuka former capital is long forgotten but its buildings and caves remain gloriously upon a contaminated lake that saw better days, and today serves as washing sink and sewerage at the same time. Being almost the only foreigners in the village we enjoyed the attention and smiles of the locals, probably asking thenselves what the heck we were doing there. Sometimes we ask ourselves the same. But this is where the real India lies. Small houses without doors, children running around the small alleys surrounded by cows, pigs, monkeys. Its not the nicest of the sights, but is a real one. Then it struck me, it was Saturday and the music bands were on the streets, the ladies dressed their best gargments, the boys gathered anound tea shops, and joy was in the air. Right there, between the garbage piles and the flowing sewage, people were happy. Although I wished they could learn some environmental responsibility and garbage management from the western world, I couldn’t help but to feel some envy for their easiness and ability to be happy right there. And there is where Indias secret lies, the ability to love life as it is and embrace it. 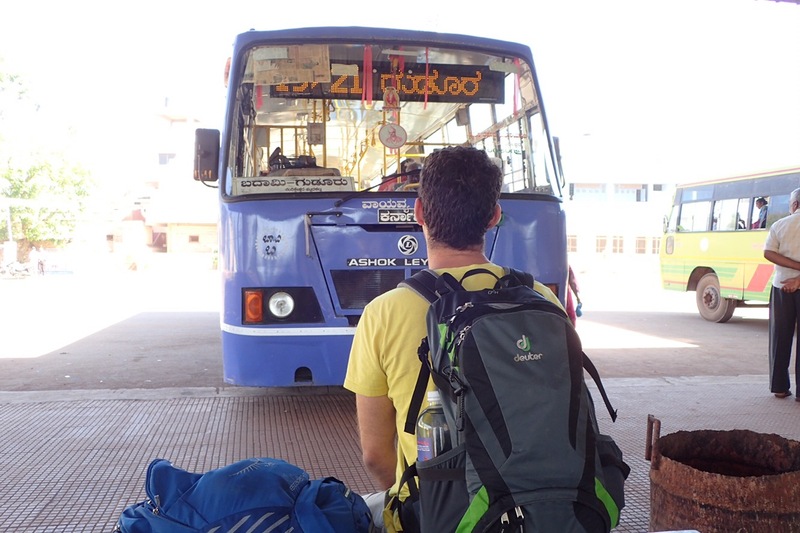 The next day we did some more public transportation to Pattadakal, to see the UNESCO heritage site, another temple complex. Once again, we were delighted to take some “selfies” with the local guys, one of them a state senator or something similar we couldn’t fully understand, but their reverence to him was noted. He was very fond of Tal.